I guess Yoworld must be making quite a lot from the Ads , right? If so, then why can't they be more generous with charging lesser for items instead of the high prices like few thousands coins for a dress etc.. or make more yocash items become yocoin items like chairs and beds.. I am sure it will be much appreciated. Back in the old days we used to not get as many coins as we do now. That's why clothing items and furniture items cost less coins than they do now. Nowadays, BVG gives us so many opportunities to earn a lot of coins. It's only fitting that prices have risen to compensate for that. 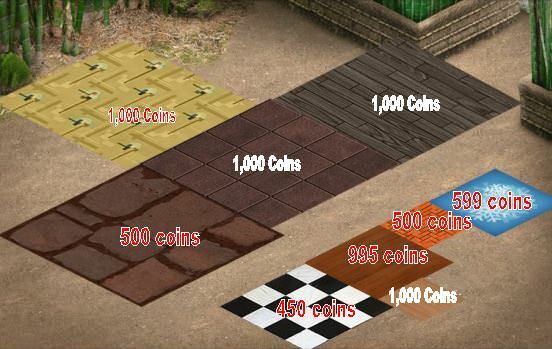 MsPhantom (129173078) wrote: Back in the old days we used to not get as many coins as we do now. That's why clothing items and furniture items cost less coins than they do now. Nowadays, BVG gives us so many opportunities to earn a lot of coins. It's only fitting that prices have risen to compensate for that. I beg to differ with you MsPhantom! Back in the old days, with collecting nitros from the nitro sites (and they didn't have to come from your friends-and after 10 nitros were collected from your post, we could delete the old one and post a fresh one to collect more and it only took 4 nitros to re-up our energy so we could collect pay from the factory), coffees laying around all around YW and friends posting to share their finds, and being able to gift two items daily to our friends, of which I usually sent one themed item and one cappuccino which when they accepted, automatically sent one back to me. And all of those gave us one when we collected and one to the person who posted when we clicked on it. I could usually collect enough to make 1,000,000+ coins every 20 minutes and was always able to decorate and buy what I liked any given moment. Now I'm lucky if I can keep my coin amount up to 400,000...and can only decorate for an hour or two at a sitting and still not be able to buy everything I wanted because my coins have depleted and it's not unusual to shut down YoWorld with only 30,000 or 40,000 or if I'm lucky 100,000 coins and incomplete decorating. I make nowhere the amount of coins I used to be able to make. Plus when we did coin runs, we got coins AND the person we visited got coins too (which we don't get now). And nowadays if you don't make it back into YoWorld before their UTC turnaround time, you miss out on almost all of our daily coins we're allowed to cash in on, not mention getting bumped back to the piddly 4-digit pittance they call a daily bonus. And then to see that almost all coin items have literally tripled from what they used to be....this game isn't as fun as it used to be when we could go for it and earn the money if you had the drive to do so....can't do that now...got to settle for what they give us and only in the time slot they allow us to get it or you just miss out (oh well, there's always tomorrow with less coins to collect) ... or you can sell your stuff. they are a company and purpose of a company is to make money, it's not a charity project. Employees need to get paid, etc. Making coins is quite easy these days, at least easy enough to afford instore coin items, so i don't really mind higher price tags. I like to look at it like not greedy, just charging the going rate. Everything is YoWorld has inflated prices from the days of yore-- whether the old Zynga stuff, the discontinued BVG stuff or the stuff in store. So, if you'll just adjust your perception to this is the new reality, the prices will seem reasonable. I have to agree, I think it looks like greed too. Not just that, they are extremely inconsistent. This is just one example, but there are many items in store now and have been in the past, where it looks as if they can't make up their mind what they want to charge. I have seen Beams for example in one theme they are coins and something exactly the same or very similar in another theme where they want cash. Greed? Ok let's all go to the woodshed. When people call companies or people "greedy", they do because they feel that way. It does not make it true. We have players who believe that every single thing in this game should be free. We have others who think BVG should charge us for everything. We get tons of free stuff now. If you don't think you do, then you are not playing Yo. There is so much free content it is ridiculous. My inventory is BURSTING with piles of free stuff. Now if you are upset because something you WANT is not free, well welcome to life. My guess is that you want a nicer car or better home or a great vacation. Try getting it for free. I guess all those car dealers and home sellers/renters, and resorts and airlines are all GREEDY? If you feel BVG is greedy, that is on you. They COULD give us NOTHING for free. Allowing yourself to wallow in ungratefulness is a pitiful way to live. This is a fun game and you can play it for FREE every single day. That is pretty damn cool. oVo (126579776) wrote: Greed? Ok let's all go to the woodshed. Your rebuttal was robust and is not improved in any way, by that kind of inflammatory characterisation. snow (1649396) wrote: I guess Yoworld must be making quite a lot from the Ads , right? I'm sure it would be, but as a business, their primary aim is to generate income and tempting people to buy YC items is all part of that. If there was no discernible difference between YC and coins items - nobody would bother buying the former and there would be no game. They have reduced the cost of beds and sofas from 7 YC to 6 and that makes a big difference to me because I buy loads of each. You'll notice some of the older beds are 8 and sometimes even 9 YC, which I think is too high. They do listen to us regarding value - there were some amazing items in the FS theme that were for coins and there was a beautiful bench that cost 1 YC.......incredible value. By logging-in on the app (or Gameroom) daily, you loads of coins, plus 25 YC and as already mentioned - they regularly give free YC stuff away in the gem events. They're already being generous, IMO, however I do agree with Queenie that a more consistent approach to pricing would be helpful. Erwyle (187240896) wrote: I like to look at it like not greedy, just charging the going rate. Everything is YoWorld has inflated rices from the days of yore-- whether the old Zynga stuff, the discontinued BVG stuff or the stuff in store. So, if you'll just adjust your perception to this is the new reality, the prices will seem reasonable. well said. you used common sense so a lot ot those without a shred of it will disagree heartily with your post. i don't see bvg as greedy. first we get free coins just for playing. we get a free iitem every timie a new theme comes out. we can get some really nice items through the gem events, some by dressing up our avatar or decorating a house or some just for participating in the event. we can buy a mystery box for furniture and it's full of yocash items. we can get a hair for half price if we buy one hair box. there is a sale every sunday. how is any of that greedy? please, if you will, those of you who called bvg greedy post some specific cases of bvg being greedy? Fair feedback. I was saltier than necessary. My apologies to those characterized as pitiful. I have to disagree here. The ban case you listed was an error & her case was quickly reviewed & her ban was lifted. It had NOTHING to do with greed on BVG's part. Also, I don't find my VIP is a rip-off. I very much enjoy it. Yeah, it was a mistake but how many others weren't a mistake? I enjoy VIP for the most part just think 20k daily is a ripoff.